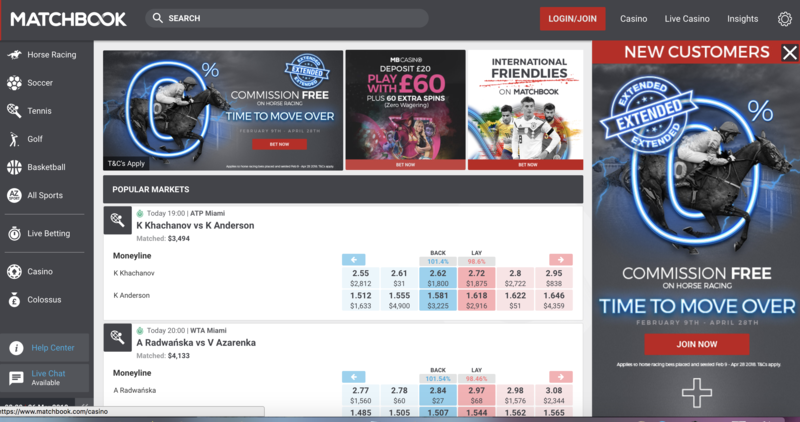 If you are looking for similar sites to Betfair, we’ve put together a quick Betfair competitor comparison. You can either read on for a summary of similar Betfair sites or compare betting exchanges in our comparison tables. Betfair was the first betting exchange which means they are not actually a bookie per se. They are a matchmaking service between punters who think something will happen and something won’t. Since the company was founded 1999 Betfair now offers fixed odds betting (since merging with Paddy Power), casinos, slots, poker, and financial trading. To be fair, Betfair is one of the best, if not the, best bookie in the world. They have the deepest exchange liquidity, are listed on the FTSE 100, they have the most active client base and cover the most markets. 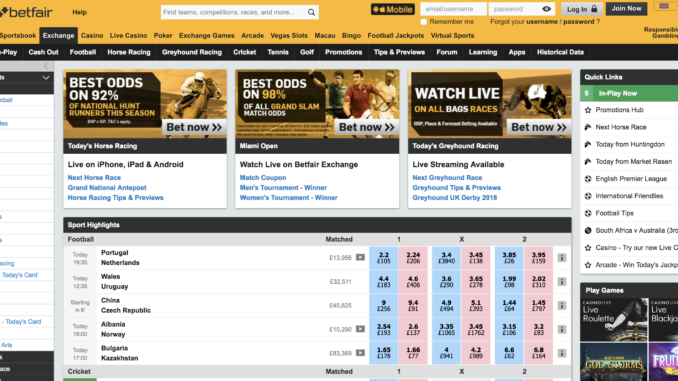 But, if for any reason you are fed up with Betfair, here are three sites similar to Betfair. A while ago we wrote about two viable alternatives to Betfair, but just added the third as a postscript. Here are the top three sites similar to Betfair. BetDaq: The second biggest betting exchange. Founded in Ireland a year later in 2,000. They currently offer a 2% commission versus Betfair’s 5%. You can also receive your first months back commission if you open a new account. 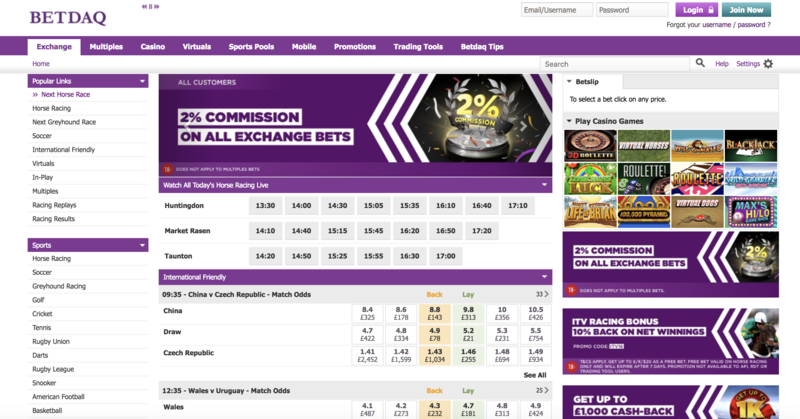 Smarkets: Founded in 2008, by an American, Jason Trost (you can read our Smarkets CEO interview here) Smarkets betting exchange is growing rapidly and winning business as a similar site to Betfair by offering better layouts and an all-important £10 risk-free bet for new customers. Matchbook: This betting exchange has a slightly American feel to it, there is a bit of a focus on US sports such as NFL and Hockey. Which is OK I suppose if you are in America. Matchbook betting exchange is a little more opaque than Smarkets, BetDaq and Betfair, they don’t even have a Wikipedia page. Make of that what you will. 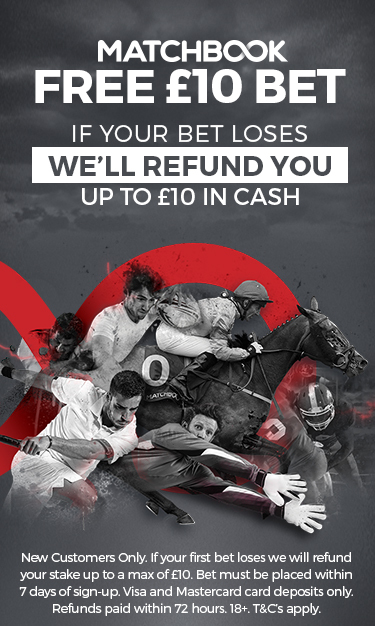 You can read some Matchbook betting exchange reviews on our review page or you can sign up now and receive a £10 RISK-FREE Bet. If you’ve used them, tell us what you think by writing a review here and you can win a £1,000 Amazon voucher.